Associate attorney Kayla Hathaway with Rice & Rose Law Firm in Daytona Beach (center) attended the Blue and Gold Gala on April 8, 2016. 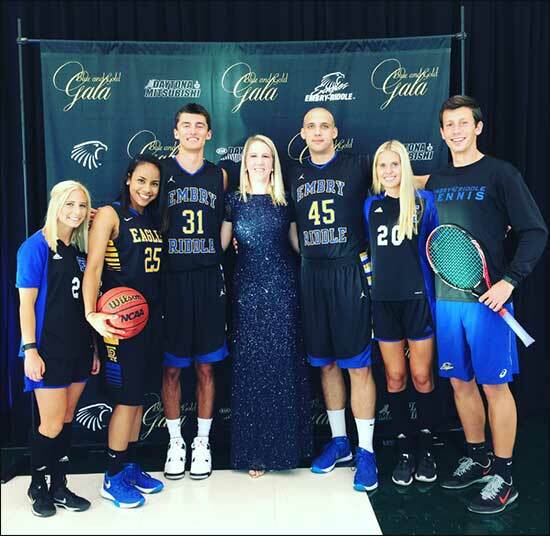 The Blue and Gold Gala is an annual fundraiser for the athletic department of Embry-Riddle Aeronautical University. The event was held at the ICI Center on campus. Kayla is pictured with some of the Embry-Riddle student athletes.